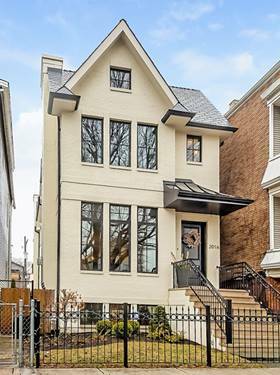 Modern Elegance throughout this Osterhaus McCarthy 6 bed, 6.1 bath SFH situated on an extra-wide 50' double lot in Roscoe Village & level 1+ Audubon Elementary dist. 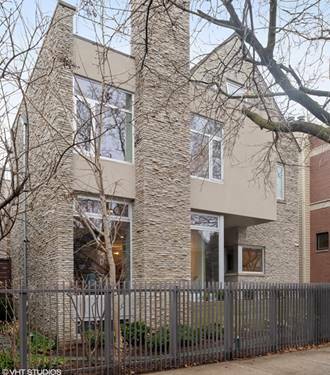 This impeccably designed, contemporary yet cozy home offers an exquisite limestone facade paired w/ a wealth of outdoor space incl a patio w/ hot tub & FP, 3 Trex decks & Zen garden. Noteworthy upgrades such as radiant heated flooring, surround sound, automated sprinkler, lighting & snow melting systems. Prof-grade kitchen features Wolf, SubZero & Miele appliances. 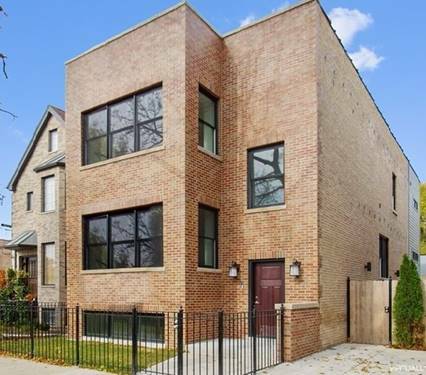 Artsy FR, formal DR & LR w/ dramatic floor to ceiling windows. 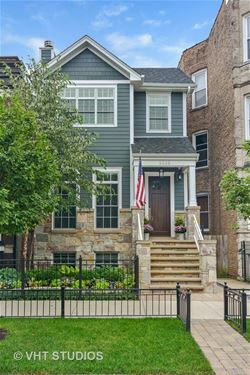 Architecturally pleasing iron staircase leads to 2nd level gracious master suite w/ FP & WIC. Spa en suite boasts rain shower & soaking tub. 3 addtl beds/baths (2 of which en suite) & proper LR w/ chute. 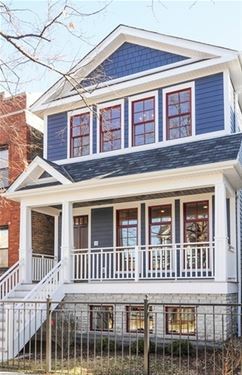 Lofty 3rd level hosts vaulted ceilings + skylights & allows access to 2 roof decks. 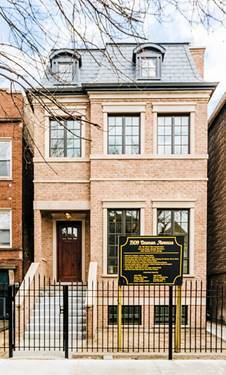 LL highlights incl wine cellar, STOA theater w/ audiovisual system, lux gym & mudroom. 3-car garage offers WiFi. 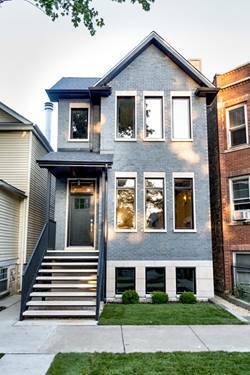 For more information about 3310 N Leavitt, Chicago, IL 60618 contact Urban Real Estate.